And now, back to baking 😉 Happy Thanksgiving everyone! Heat butter in a pan, then add onion and cook until soft. Add cream cheese and stir until melted. 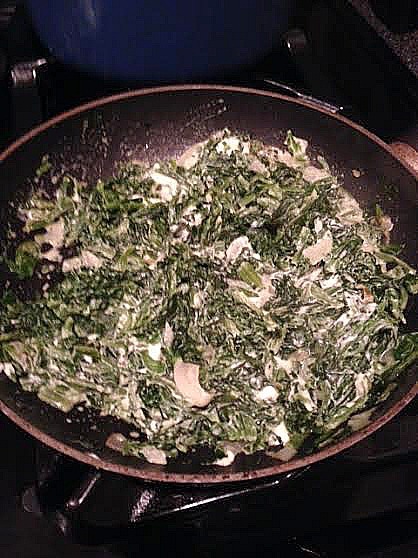 Fold in spinach and stir until combined. If dry, add a bit of water at a time. Stir in nutmeg and season with salt and pepper. Serve. This entry was posted in cream cheese, QuickAndEasy, side dishes, spinach, Thanksgiving. Bookmark the permalink. Wow-this is easy, and I bet it is great!